Andrew Cottee is an award-winning British composer, arranger, orchestrator and conductor. Tom Croxon is an artist manager and producer of concerts, shows, events and award-winning recordings. Both are graduates of the Royal College of Music in London. Tom completed his post-graduate studies at the Juilliard School in New York. They are former professional musicians who performed with the world’s leading symphony orchestras. Andrew and Tom formed Dream Town Music™ in order to deliver the highest artistic and production values in music for film, TV, theatre, orchestration, arranging, recording, gaming, advertising and live performance. Andrew is currently writing original music for episodes of ‘The Orville’, Seth MacFarlane’s hit TV show for Fox TV. 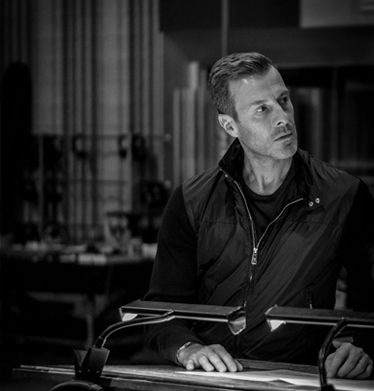 In 2018, together with his colleagues on the show, Andrew was awarded ‘Best Original Score for Television’ by the International Film Music Critics Association. Andrew Cottee is an award-winning composer, arranger and conductor with credits for film, television, theatre, the concert hall and recordings. Andrew is one of the most versatile and in-demand artists of his generation. Recent credits include Seth MacFarlane’s hit TV show ‘The Orville’ for which he received ‘Best Original Score for Television’ from the International Film Music Critics Association in 2018. Andrew orchestrated ‘God Only Knows’ for BBC Music Day and ‘Mr Bean: The Animated Series’, and his work was featured on the CBS TV special in America ‘Sinatra 100’. Film credits include arrangements for the Universal Pictures 2016 release ‘Sing’ and orchestrations for the Bobby Darin biopic ‘Beyond the Sea’. In the theatre, Andrew received credit for his contribution as orchestrator for the hit Broadway production of ‘An American in Paris’. 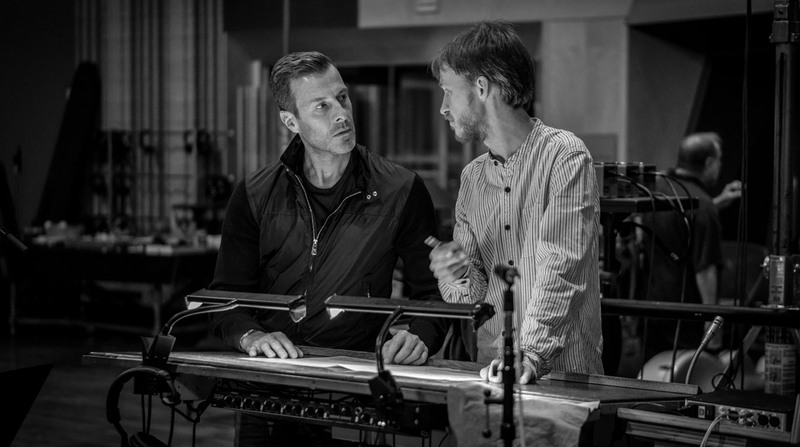 Andrew was the arranger and music director for a live production directed by Baz Luhrmann and for Kevin Spacey’s farewell gala concert at the Old Vic Theatre. Andrew’s arrangements have been heard in concert halls across the world and have been performed by leading orchestras including the New York Philharmonic, San Francisco Symphony, Washington National Orchestra, Orchestre National de France and London Symphony Orchestra as well as at leading festivals including Ravinia and the BBC Proms. Andrew has arranged for Quincy Jones and was invited by the Royal Liverpool Philharmonic Orchestra to arrange and orchestrate a concert celebrating the lives and work of John Lennon and Paul McCartney. In 2017, Andrew arranged music for Bastille Day celebrations for the Orchestre National de France conducted by Valery Gergiev. In the recording studio, Andrew was the orchestrator for Paul McCartney’s ballet Ocean’s Kingdom, premiered in New York and recorded for Decca. Andrew’s work has been recorded for Warner Music, and he was recently invited by Seth MacFarlane to write an album of original arrangements, which they recorded together at Abbey Rd Studios in London for future release. Andrew is a graduate of the Royal College of Music. Andrew began his musical life as a percussionist performing with the London Symphony Orchestra, London Sinfonietta and BBC Big Band. Tom Croxon was educated at the Royal College of Music and the Juilliard School in New York. He was a professional double bass player who performed with the world’s leading orchestras and worked as a session musician for film, TV and for recording artists. Tom is well known in the industry as a first-class artist manager, producer and musician. His creative flair extends to both studio recordings and live productions. Tom has a unique ability in building and establishing artists and brands and leading them to great international success. Tom is widely credited for his contribution to the phenomenal success of the John Wilson Orchestra and for signing the orchestra to an exclusive, multi-album recording deal with Warner Music. 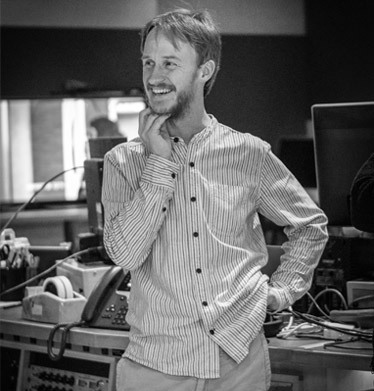 Tom has produced concerts, shows and tours in the UK, Europe and America, award-winning recordings for Warner Music, televised concerts and shows for the BBC and SkyArts. Tom works internationally with promoters, broadcasters, record companies and the world’s leading artists. Dream Town Music Limited is the owner or the licensee of all intellectual property rights in our site, and in the material published on it.